Today I took a time and make new manicure, finally! 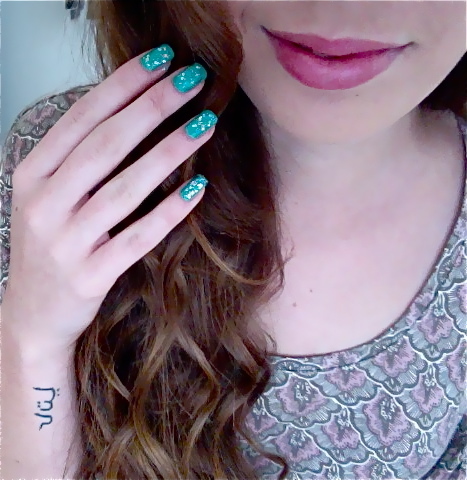 I decided to make it green/blue and with lots of glitters! iMac photo, hope you like the color like I do!